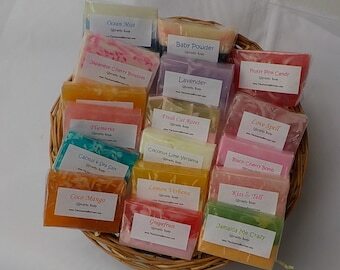 Variety grab bag of 50 of our really popular sample soaps. Each set of 50 soaps will include approximately 5-7 different scents and designs. No customization on this listing. 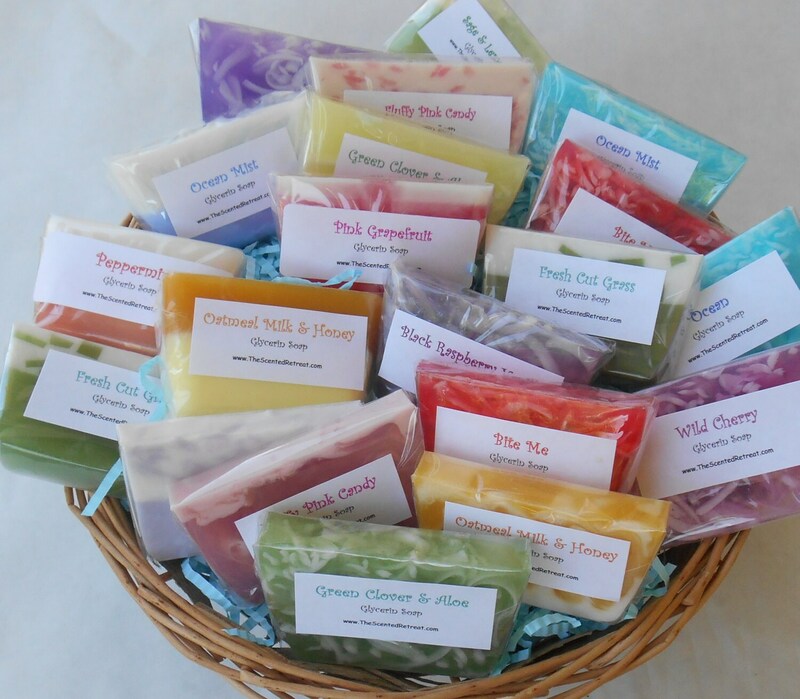 Each soap is approximately 1.5 to 2 oz and is wrapped in cello and labeled with the scent name. Approximately 3 x 2 x 1/2 inch. We do combine multiple purchases and refund any overage of $1 or more. All packaged nicely with labels. Shipped securely...nothing damaged. I think these will be a big hit at the baby shower. I can't wait to use a few myself! Kindest thanks!